Anarchy was a journal of ideas published in London through the 1960s. 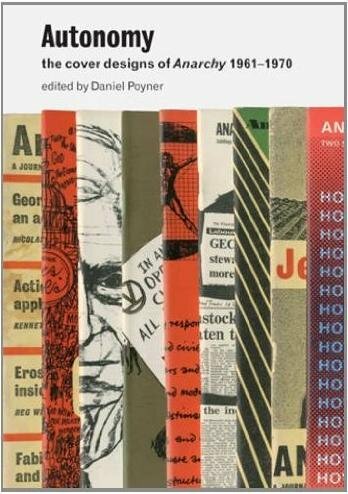 Its 118 issues provide a remarkable sample of dissenting and libertarian discussion in the English-speaking world, as it developed through those years. Prominent among the themes of the journal were education, the urban environment, work, workers' self-organization, crime, and psychology, as well as anarchist traditions and history; attention was given to literature, theater, and cinema. Although its contributors were many and diverse, Anarchy was essentially the creation of one person, Colin Ward (1924-2010). With this journal, and throughout his work as a writer, editor, and activist, Ward proposed the idea that anarchist principles of mutual aid and autonomous organization outside a centralized state can be achieved here and now-and are already at work all around us. The title of this book-Autonomy-takes up a defining idea of anarchism, as well as using again the word that Ward had intended to be the title of his journal.